Lately, nanoscale color printing has emerged as a unique substitute to traditional pigments by providing record spatial resolution, durable, angular independent and single material colors. Broadly based on plasmonic nanostructures, several attempts in the field have aimed at spreading color range and saturation based on a range of designs and metals. Alternatively, silicon nanostructures support exceptionally tunable magnetic and electric multipolar resonances, afford low absorption losses and gain from proven industrial fabrication processes, all features perfectly suited to nanoscale color printing. Here the properties of silicon nanodiscs are compared with those of silver and aluminum plasmonic elements for the particular purpose of nanoscale color reproduction aiming at the coverage of a wide and vivid color palette. The Reseachers involved are keen on highlighting the variety of properties of such dielectric and metallic resonators in various geometric and illumination conditions resulting in the enhancement of silicon nanodisc arrays for the fabrication of both millimetric paining replicas and high resolution color features. The fabricated structures span a wide, continuous color range with changing hue and saturation that can be observed using conventional optical microscopy, photography and the naked eye under white light illumination. High throughput electron beam lithography and color mixing schemes are deliberated to additionally harness the unique properties of silicon nanodiscs as color elements opening the door for a wider exploitation of nanoscale color printing. 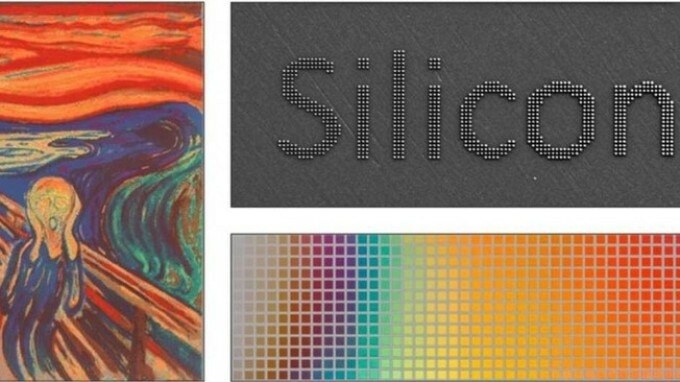 The paper, written by researcher Valentin Flauraud and others, titled "Silicon nanostructures for bright field full color prints" has been published in ACS Photonics.